It may be a few years ago now but my favourite travel experience is from my time travelling around Australia in a campervan. Nothing beats the freedom of a campervan, especially in such a huge and beautiful country like Australia. Every time I think about that battered old, green campervan I get a little tingle of excitement and promise myself that I will do that again. One day I will reduce my belongs to nothing but the clothes on my back, buy an old campervan and drive wherever my curiosity takes me. This experience is also the one that leads to lots of questions from readers who are struggling to find any honest answers online. Everyone wants to know exactly how much it costs, where and how to buy a campervan and if they’ll get away with parking beside beaches or on the side of the road. Hopefully you’ll find some of the answers to your questions in this post. If you have any more questions please just write them in the comments below and I’ll do my best to answer them. 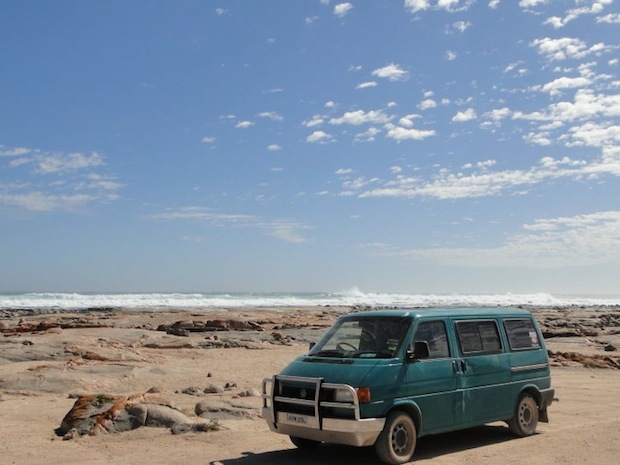 What’s it like driving a campervan in Australia? Australia’s cities are small and most travellers in campervans will only briefly pass through cities. The rest of the time you’ll be on the open road and these are straight, quiet and beautiful. It’s as though Australia has been perfectly set up for road trips. You won’t need a satnav because everywhere is well signposted and the distances between each town is clearly marked. The roads are smooth and there are plenty of places to pull over, fuel up, rest and enjoy the views. In Australia they drive on the left. If you’re used to driving on the right, I wouldn’t worry about it because you quickly get used to it. Plus, there aren’t many roundabouts in Australia and I find roundabouts are the only tricky things if you’re driving on the ‘wrong’ side of the road. Parking in cities can be difficult so sometimes you’ll need to pay to park in car parks rather than squeezing in a space on the side of a road. Melbourne can be a tricky city to drive in due to the ‘hook turns’. I think this is due to the tram lanes. Basically, if you’re turning right you have to get in the left-hand lane. Wikipedia have a good guide to hook turns but you’ll quickly pick it up when you arrive and most roads are well signposted. What’s it like living in a campervan? A lot of fun! I wrote a whole post about it here: How to survive living in a campervan…for a year…with a boy. The time we killed Stuart Little, our unwanted hitchhiker. We started in Melbourne and basically followed the coast all the way around Australia. We drove along the west coast, into the Northern Territories and back down the east coast. We finished in Sydney one year later. You can read about all of your Australia road trip destinations here. What kind of campervan did you buy and where did you buy it? We bought a VW Transporter and we found it on Gumtree. We paid $5,500 for it. It was old and had done a lot of miles so we were very lucky we didn’t have any problems. We chose a VW because of their great reputation and the Transporter was more spacious then the other options in our budget. Many backpackers buy Toyotas but we’d been told they overheat, which is the last thing you need in a hot country! We really liked and trusted the guy we bought our van from. We’d been to view some campervans being sold by fellow backpackers and found the owners knew nothing about the history of their vans and were cagey with our questions. The guy we bought it from was Australian so could answer all our questions. He was friendly, knowledgeable and honest and I’m a firm believer in going with your gut instinct. I’ve got more information here about buying a car or campervan in Australia. One piece of advice would be to buy it, sell it and register it in the same state to make life easier for yourself. How much did you spend while driving around Australia? It’s hard to say exactly how much we spent because we stopped to work for a few months and then carried on and then stopped again. I’d say that during the road trip parts we spent about $2,000 a month between the two of us. We didn’t have a daily budget because it would vary so much depending on how far we drove, if we stayed in campsites, what kind of activities we did and how much we went out. We didn’t scrimp because this was a once in a lifetime opportunity and we just stopped to work when we ran out of money. A lot. Again, I can’t say how much because it depended on how far we drove and if we had the aircon on (that made a surprising difference). Remember that fuel is more expensive in rural locations. You can find the average price of fuel in Australia here. Do you have any tips for working and earning money in Australia? I wrote all about the jobs I had and how I got them here: Working hard and playing hard in Australia. Do you have any tips for saving money while travelling around Australia in a car or camper? Stock up on food at supermarkets rather than petrol stations. Petrol stations are expensive and it’s easy to spend a fortune without realizing it. Sam and I are both suckers for proper coffee, meat and cheese pies and ice lollies – we spent way too much on these every time we filled up. A gas hob will save you a lot of money so look for a van that already has one or put one in yourself. It makes it easier for simple things like coffee, bacon sandwiches, eggs and pasta. The main expense is fuel so the slower you travel, the less you spend. Try to avoid cities as you’ll end up spending more money while you’re there. A day at the beach is free but it’s difficult to spend a day in Melbourne and not spend anything! Look out for gas discounts at supermarkets. If you spend about $30 at a supermarket you’ll often get a coupon for a discount on fuel. Just make sure you don’t spend extra at the supermarket in order to get the discount because then you’ve actually just spent more money. Don’t buy a campervan with a toilet. You then have to pay to get rid of your ‘waste’ or pay for a powered site at a campsite. It’s easier to use public loos or go for a bush wee. Alternate between campsites and rest stops for a free night of camping and a paid night of camping. Is there ever any risk of running out of fuel? No, there are plenty of gas stations and the distance between each one is signposted. If you have a decent map, they’ll also be on there. If we were in a rural area, we filled up every time we came to a gas station just to be safe. Can you camp by the side of the road/beaches/car parks? It isn’t as easy to camp by the side of the road as you may think. It’s illegal to do this so if you’re in a beautiful area where lots of backpackers try to camp for free, there’s a high chance the police will turn up and move you on. If you’re in a group with 2-3 campervans this will almost certainly happen. Car parks are a little easier but camping in car parks gets boring VERY quickly. This kind of lifestyle is fun and romantic and exciting for about 2-3 weeks but you get fed up after a while. I will say that Australia has great public toilets so most car parks and beaches will have nice, clean loos. They’re nothing like the public toilets in the UK! Most of the time we stayed in campsites. Life is so much easier in a campsite because they have toilets and showers, swimming pools, kitchens with decent equipment, hot water to wash your pots and other backpackers to hang out with. How much do campsites in Australia cost? Back in 2010 we were paying an average of $20 per night for two people plus a van without electricity. This will get you a really nice site, often with WiFi and clean, hot showers. Hot showers aren’t important to everyone but when I’ve spent the day on the beach and swimming in the sea, I’d pay any amount for a decent shower. What did you do about food? We very rarely ate out in Australia because it’s expensive and we were on a budget. When we were in cities we snacked on a lot of sushi as (at the time) you could pick up delicious and large sushi rolls for $1. We mostly cooked for ourselves on a twin burner gas stove in our van. We also had lots of BBQs. We bought our food fresh nearly every day because we didn’t have a fridge and bread went stale very quickly in the hot van. On most beaches around Australia you’ll find great gas BBQs. They’re clean and work really well too. We would get some meat or fish and salad from the supermarket and usually have a BBQ on the beach. Keep your food in sealed containers to avoid attracting mice. How did you sell your campervan? We sold it on Gumtree. 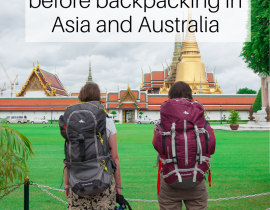 It sold within 1 week to a German backpacker. We sold it with everything we didn’t need like books and games, snorkeling gear, fishing equipment etc. While we were selling it we stayed at Rooftop Traveller’s Lodge in Glebe, Sydney. This is a really nice hostel that’s close to the city center. It also has parking so it was a great location to be based while selling the van. What did your campervan come with? Our van had been converted into a camper by a backpacker so it was quite basic. It had curtains around the windows and carpet on the floor. There was a ‘sofa’ which converted into a double bed with storage beneath. It had a foam mattress and was really comfortable. We had sleeping bags so we could pack them away during the day. There were some cupboards along one side with sliding doors and a foldout table. A gas stove, a large cool box (called an Esky in Australia) pots and pans, large water containers and a fan. There was also a tarp which we used for shade and tied to the door when we were stopped. We had camping chairs and a small table and a map book too. It also came with a small tent but we didn’t use it. There was no electricity so no fridge. We did have a cigarette socket to plug converter but we rarely used it. I’m not sure if I should buy or rent a campervan in Australia, what would you recommend? It depends how long you’re planning to travel. We worked out that 12 weeks hiring a campervan would cost us about the same as buying one so buying was our best option. We sold it for $500 less than we bought it so it worked out well. If you don’t want to take the risk or you’re only planning a short road trip, I’d recommend hiring. Keep in mind that it could take a couple of weeks to sell your campervan once you’re finished with it. We hear horror stories about backpackers who had flights booked to go home and had to practically give their campervan away. It’s the same as it would be for you at home. If you break down in a city you could probably get it to a garage but if you break down elsewhere you’re going to need breakdown cover. Do you have any tips for driving in the outback? Carry lots and lots and lots of water. Not just for you but for your vehicle too. Don’t let your vehicle get too low on fuel. Apparently the bottom of the fuel tank gets full of sand and dirt so when you’re using the last few dregs in the tank all the dirt will go into your engine. Be careful at dusk because this is when the kangaroos are out. They’re really stupid animals and will bounce right in front of your vehicle. During your roadtrip you will see hundreds of dead kangaroos on the side of the road. ‘Roo bars’ are a good idea and they’re basically bars on the front of your vehicle to protect it from kangaroos. You’re main concern is them rolling up your bonnet and smashing your windscreen. If you’re planning to go off-roading in the outback then you will need a 4×4. There were some roads we were unable to access in our van because it just couldn’t cope with the bumps. We chose not to buy a 4×4 due to the extra cost to buy and run it. I don’t feel like we missed out by not having a 4×4 and there was only one road we got halfway down and realised we needed to turn back. If we had unlimited funds we would have bought a 4×4 but I wouldn’t worry if your budget doesn’t stretch that far. If there is anyone else out there who has campervanned around Australia and wouldn’t mind sharing their experiences, please let me know. I’m looking for people to interview about their trip as I’m sure everyone else has more tips and a very different experience to my own. This post brought back so many memories of when we were in Australia! We did our exploring with Greyhound coaches though! I remember some totally random petrol stations they pulled into – one had a giant talking Kangaroo statue in the back-garden, which was set in the middle of a water feature. And totally agree on the sushi. 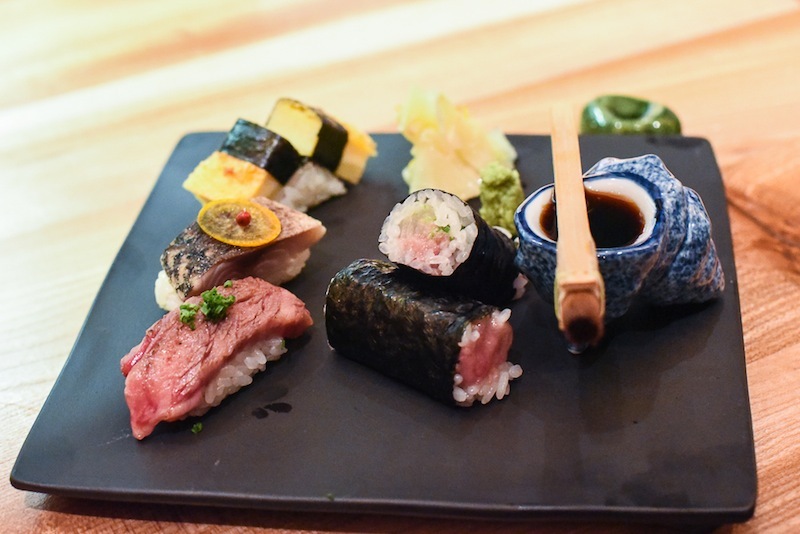 The best sushi I’ve had was in Oz! Great post Monica. I’m sure this will help a lot of people! 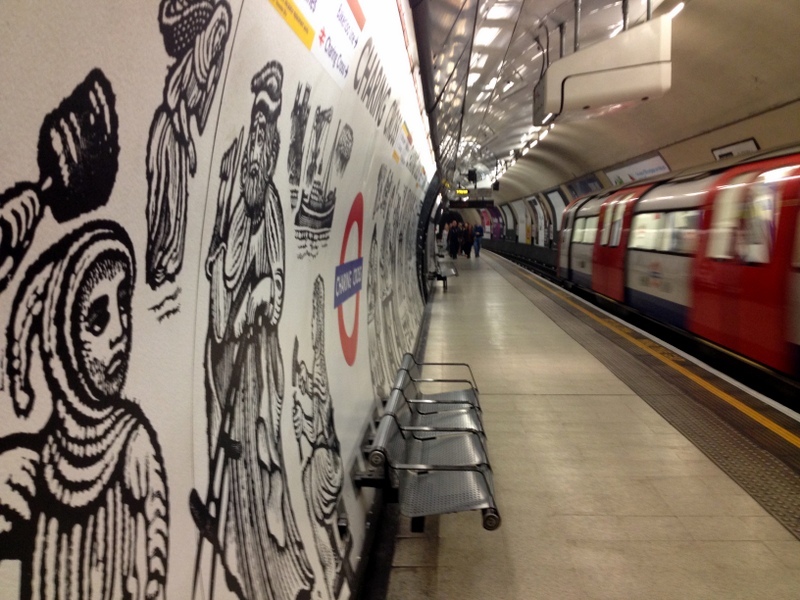 Just a couple of things – most dump points (where you can empty waste from toilets) are free. I’ve never come across one that has charged. Most RV-friendly towns will have them sign-posted – it’s just a matter of pulling up and emptying it. Also, it is possible to free camp in all sorts of places. Different states have different levels of tolerance to just pulling up on the side of the road so it’s worth checking out. Certainly in rural Queensland we never had any problems just parking on the side of the road where there was a bit of a clearing. Car parks etc are probably the places you are most likely to be asked to leave and a lot will have no camping signs and you might get fined. Also, the Camps Australia Wide books (I think the latest is Camps 7) details most free and cheap camp sites around the country and will include information as to whether there’s power, mobile phone service, toilets etc. Some of the camp sites really are just a clearing with a rubbish bin! I really recommend anyone doing a trip like this to get a copy of the book or download the app. It’s such a good way to save money and you don’t have to worry if you’re parked somewhere you shouldn’t be. Campgrounds and caravan parks are getting alarmingly expensive these days! This brought back all the romance of road tripping for me! I’m a big fan of a road trip, but prefer to just do it in a car vs. as I don’t think I can completely eschew land comfort for a a long time. HI. I’m so sorry. I’ve searched high and low for some photos from the inside of our van and I can’t find any. It had carpet on the floor and curtains and a sofa that folded out into a bed and had storage underneath. There was a bookcase that folded out into a table and a little gas stove. It was pretty basic and fairly small so we very rarely sat inside the van. The other van you can see from the photos was a rental from when my boyfriend’s brother came to see us and travelled with us for a few weeks. Great post! It took me back to when my parents owned a really old VW camper with beds, a cooker, table etc inside and we used to go travelling. I cant wait to do my Camper van trip in Australia. Only doing a week via Great Ocean Road but really excited for it. Awesome advice cheers! Best blog I’ve come across! I’m heading out to Oz in April. Got my WHV, flight booked. Meeting a friend from the US when I get there and we’ve talked about doing the campervan thing. This kind of confirms it for me! I love this post! 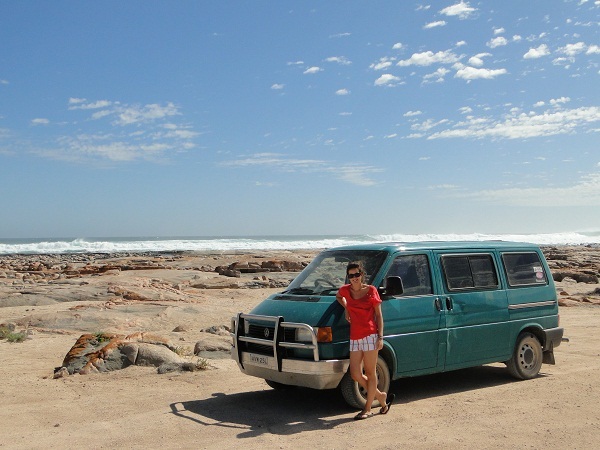 We spent 7 months in 2014 roadtripping in Australia in our campervan. 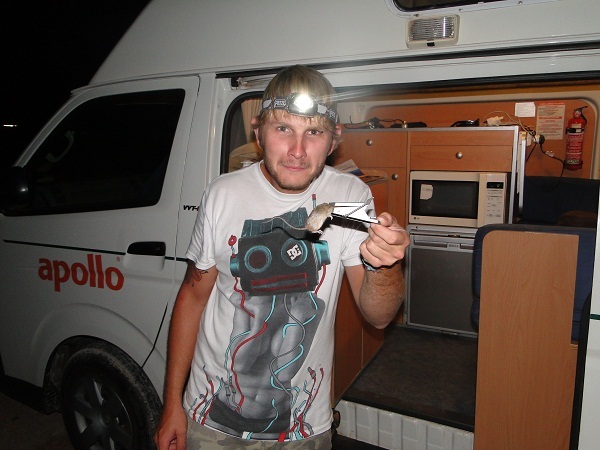 I am actually writing a blog post right now about a guide to purchasing a campervan. I agree with all of your tips. We did the same things: buying grocery store food, not eating out, etc. I especially agree with your idea of alternating nights between free camping and caravan parks/camp sites. That worked ideally for us, or if we spent a night or two free camping, we’d stop at roadhouses and use their showers. That was a necessity in the outback. We drove from Perth, up the west coast, then down through the Red Centre and ended our journey in Sydney. Loved our trusty van, and sold it to the first couple that took a look, for nearly the same price we paid. My only addition to your suggestions would be that in the outback, even when on the highway, you definitely need to fuel up at EVERY roadhouse you come to. We found them to be ideally placed just as we’d be running low on petrol. If we ever didn’t stop, we would have run out! I’d also suggest getting a Telstra portable 3G device if you need a lot of WiFi on the go. It was sooo difficult to find WiFi throughout Australia, aside from the major cities. And since we both work online we needed whatever Internet we could get! The device cost about $100 with occasional refills. It was still pretty expensive. Anyway, glad you had a great trip! Good tip about the wifi, thanks Amy! It was 2011 when I was out there so wifi wasn’t available anywhere so we just gave up. I bet it’s completely different now! Thank you for all that helpful info!! I have a few questions, mostly concerning the road condition. I also want to do the clockwise route, but I’m concern about my rental car breaking down and I don’t know how to change tires or fix anything car related. You were lucky with your van, but do you think the road is safe for a regular car? Did you mostly drive along route 1? Reading my guide book makes me nervous driving from Adelaide to Perth, or from Perth to the Kimberlys, to Darwin, etc… What other driving tips can you suggest? Thank you very much!!! Hi Sarah, the main roads in Australia are absolutely perfect condition and a car would be fine. There are some dirt roads that you’d need a 4×4 but you don’t NEED to go down them. They usually lead to less discovered areas. Our old van couldn’t cope with these roads so we didn’t go down them and I dont feel like we missed out. If you’ve got a rental car then I wouldn’t worry at all about it breaking down. It’s unlikely a rental would break down but if it does then you’d just phone the company and they’d come and fix it for you. It’s very unlikely you’ll be somewhere so remote that no one will pass you. You might go an hour without seeing another car but one will come eventually. Just make sure you always have enough water – for both yourself and the car – and you’ll be fine. I wouldn’t know how to change a tire either but we had breakdown cover for that. Thanks so much for this post! We’ve planning the same adventure around Australia, this was the first step in my research and you’ve already answered most of my questions while giving me that buzz of excitement about what could be in store for us! I have my Working Holiday Visa and am in love with the idea of traveling around Australia in a campervan. However I would be traveling on my own. I am a 27 year old female. Do you think it would be safe enough for me to do this alone? I have traveled the East Coast before but it was with a group of over 10 people. Hi I have read your Australian adventure and it was a great help. I am considering travelling the coastal path all the way of the journey and zig zagging to Alice Springs. Ive estimated about a year, I have 2 1/2 years to prepare. I’m so pleased you found the posts helpful and I hope you have an amazing time. It’ll be such an incredible adventure! Great info. I am planning my eventual retirement trip in 4×4 and plan on doing dessert trip. Just be aware that there a couple of routes in Australia (more for the off roaders 4x4s) where you will need to carry extra fuel, as the distance between petrol stations may mean you run out if you don’t have a long range tank, or duel tanks. If you really want to head out bush, you might also want to invest in a cb radio or sat phone in case of break down or emergencies, as mobile phone coverage is not available in many rural areas. Awesome post! One question I have is where you parked your van during your periods of work etc. Did you stay put for a couple of months in the same spot? I am hoping to do a similar trip and want to work for a few months in places where there is plenty to explore. No we didn’t stay anywhere for more than 4-5 nights. You could stay on a campsite long term or on a friend’s driveway but it would be very difficult to park anywhere else long term as you would be moved on.